He sings, he dances, he… cooks! 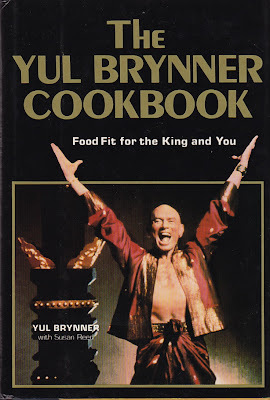 Yes, I’m talking about Yul Brynner, author of The Yul Brynner Cookbook. 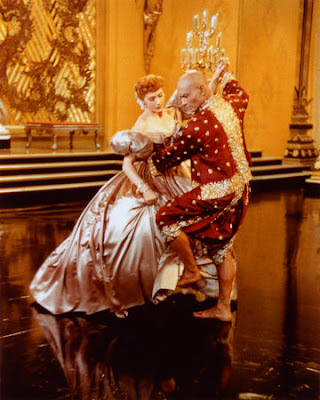 Everyone knows Brynner as an actor, but did you know he was a polyglot (speaking 11 languages including Russian, Chinese and Romany), a nightclub entertainer, a musician, a trapeze artist, a member of a traveling gypsy troupe, a pro jai alai player, and a director, as well as the King of Siam? So let the guy cook! 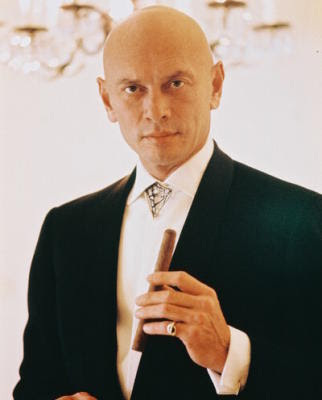 Brynner was born on Sakhalin Island, a slim strip of land off the southeastern coast of Russia and north of Japan. The island is sub-arctic and during the 1940’s both Japan and Russia claimed the island. His family took him to China when he was 6 months old. The cookbook features cuisines from his multi-ethnicity. There is a Russian section and a Japanese section. There are sections from his many travels featuring French and Thai cuisine. By far the most interesting section features his Romany or Gypsy heritage. “My mother was a gypsy, and I spent several of my teenage years traveling through France with a gypsy troupe. …there are inherent difficulties in constantly moving from one place to another. Just think of the everyday chore of preparing meals. One of the more exotic soups is dandelion in cream, while one of the more traditional stews is pork. Trim excess fat off pork, and cut the meat into small pieces. It’s all right to cook this dish with pork bones included; they should be discarded before serving, but they add flavor to sauce. Set the pork aside, and heat the vegetable oil in a Dutch oven. While the oil heats, peel and chop the onion. Sauté the onion and garlic clove in the vegetable oil until the onions are transparent. Remove the garlic, add the pork, and brown well on all sides. Add paprika, salt, caraway seeds, water and beer to the Dutch oven. Cover, cook for one hour, periodically skimming fat from the top of the sauce. After one hour of cooking, add drained sauerkraut, cover, and cook another 45 minutes. Garnish with sour cream. Love those Gertrude Lawrence tidbits!